Dubai, UAE, June 9, 2018: Dubai World Trade Centre (DWTC) events accounted for a record AED 12.7 billion in retained value towards Dubai’s economy, equivalent to 3.3 percent of the emirate’s GDP (Gross Domestic Product) in 2017, according to the latest Economic Impact Assessment report released by DWTC. The study estimates the total economic output of DWTC’s large-scale events at AED 22.5 billion, an increase of 8% since 2015, of which nearly 57% is retained within the local economy. Reaffirming the importance of the MICE (Meetings, Incentives, Conferences & Exhibitions) sector to Dubai, the 2017 report highlighted unprecedented sales within the sector from event participation related spends generated by large-scale events, driving 4.3 times its value in overall non-trade business activity across Dubai’s economy. In other words, every AED 1,000 spent at a DWTC event generated AED 4,300 in value for the Dubai economy in 2017. The multi-sector impact of events driving incremental value across tourism, hospitality, aviation and entertainment, is estimated to have supported a total of 84,226 jobs as an immediate consequence of DWTC - hosted and managed – events, generating disposable household income of AED 4.1 billion. Of the figure, MICE and adjacent sectors contributed the direct impact at 71% of the number of jobs created, while 29% of the number of jobs were the result of indirect and induced employment impact across the wider domestic economy. DWTC continued to lead the region’s MICE sector activity in 2017, hosting 103 large-scale events and attracting 2.63 million attendees, of which 1.1 million were overseas visitors. Large-scale events, defined as events hosting more than 2,000 attendees, form the focus of the report and emphasise the importance of sustainable scalability through their ability to attract a diverse audience from local and international markets, and are hence instrumental to driving higher-impact economic value and growth. Out of the AED 22.5 billion total value generated by large-scale events, AED 16 billion was directly driven by event participants’ spend within the MICE and adjacent sectors relating to travel, tourism, hospitality and entertainment, supported by a 24% increase in MICE business services spend (from AED 4.2 billion in 2015 to AED 5.3 billion in 2017). The growth in total value generated was further catalysed by a 13% increase in the number of international exhibiting companies (since 2015). Three new halls (Zabeel Hall 4, 5 and 6) were opened by DWTC in the last quarter of 2015 to meet the increasing demand and number of exhibitors. “DWTC’s priorities are firmly aligned with UAE Vision 2021, the nation’s economic diversification strategy and the 2017 Economic Impact Assessment is testament to DWTC’s success as a MICE entity that enhances the value of business tourism to Dubai and makes invaluable contributions to its GDP. The value for Dubai’s economy through hosting business events is undeniable and our strategy focuses on attracting maximum overseas participation, which is critical to ensuring the success and sustainability of events in the MICE sector. The strong growth not just in the gross revenues but also in the economic value added are a testament to the ability of the industry to minimise leakage and retain the contribution within our economy for continued growth. Through our continued focus on increasing international business visitation to our events, we are committed to supporting the tourism target of 20 million visitors to Dubai by 2020. Furthermore, the synergistic benefit of MICE-linked spend across related sectors in the business tourism value chain has a powerful multiplier effect, allowing the sector to fuel Dubai’s economic engine,” said His Excellency Helal Saeed Almarri, Director General, Dubai World Trade Centre Authority and Dubai Department of Tourism and Commerce Marketing. The report observed that international attendees spend nine times more on average per event than locally-based attendees, as 42% of the 2.6 million visitors to large-scale events in 2017 were overseas visitors and responsible for generating 75% of the overall direct spend. International attendees have a higher daily spend primarily driven by their accommodation, retail, entertainment and F&B spend. In 2017, 1.1 million international attendees to business events at DWTC stayed on average five days and spent an average AED 1,341 per day during their visit, which is nearly 4.5 times the average daily spend of UAE-based attendees. Delegates from Europe accounted for the highest number of international visitors (24%), followed by the GCC with 22% and the MENA region with 18%. All the top 10 source markets, which include Saudi Arabia, India, Oman, United Kingdom, Kuwait, Iran, Egypt China, Germany and Turkey, reported an increase in the average stay per event. China, which debuted as a top 10 source market in 2017, accounted for a growing number of delegates travelling to Dubai with a companion, highlighting the popularity of Dubai as a leading business and tourist destination. “The consistent growth in international visitors attending DWTC events and their engagement in the city’s offerings beyond business, reiterates Dubai’s reputation as a leading and preferred choice for business and leisure. We continue to engage with overseas markets with the view to enhancing our portfolio and customer experience in order to increase new and repeat business travellers to Dubai, customising our offerings to be most conveniently accessible to them, with a view to facilitate greater choice, better relevance, and most importantly deliver highest levels of satisfaction with their Dubai experience. Ultimately we want every business visitor to DWTC to be a strong advocate for Dubai and revisit, not just for business but also for leisure – further amplifying our contribution to the local economy,” Almarri said. The scale of events and key sectors were critical to GDP value creation, as larger events attract more international attendees, who in turn directly increase foreign spend within the domestic economy. Twenty-one mega events (over 30,000 participants) accounted for 67% of the Gross Value Added (GVA) to the economy, creating 3 times more impact than medium-scale events (10,000 – 29,999 attendees) and 6.5 times more impact than small-scale events (2,000 – 9,999 attendees). 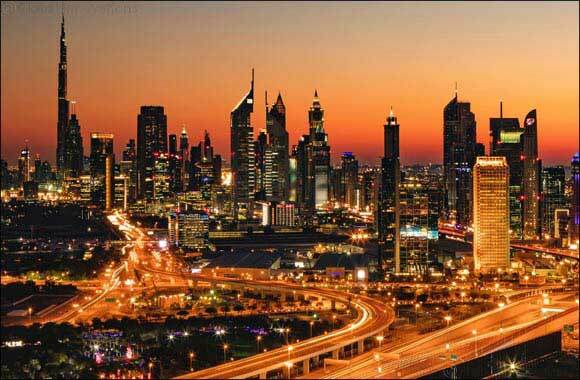 High levels of international attendance with longer event durations that encourage more visit-days in Dubai, directly increased foreign spend within the domestic economy and positively influenced the impact generated. The close correlation between an event size and its propensity to attract higher numbers of overseas attendance makes it a critical consideration as DWTC continues to work with its global and regional stakeholders to drive growth. The report also highlights that six key event sectors - Healthcare, Medical & Science; Food, Hotel & Catering; Automotive & Transport; Building Construction & Facility Management; Information Technology; and Energy & Environment - collectively contributed 68% of the total GVA to the economy (AED 8.6 billion) or the economic output retained within the local economy. These high-performing sectors were also responsible for attracting 65% of total international attendees. The Healthcare, Medical and Science sector, with 58% international participation, remained the top contributor to the GVA with AED 2.4 billion; the Food, Hotel and Catering sector with 51% international participation contributed AED 1.9 billion of GVA; the Automotive and Transport sector contributed AED 1.5 billion of GVA and 39% more international attendees over 2015; and the Energy & Environment sector was the second fastest-growing contributor with AED 800 million of GVA, a 58% increase since 2015. “Our scalable and content-rich calendar and flexible, state-of-the-art international events venue are designed to facilitate show growth, increase quality participation and ensure that all shows deliver the highest ROI to the organisers, exhibitors and attendees. Scalability is key to ensure attraction of higher volumes and quality of international participants, and that in turn drives dramatically higher GDP impact – both in terms of spends and employment across the MICE ecosystem. As such, fostering the growth of events hosted at our venue is core to the fulfilment of our strategic mandate. The high performance of key event sectors reflects our strategic alignment with the goals of creating an innovation-led knowledge economy that contributes to the development of the UAE and Dubai,” Almarri concluded. The report’s econometric analysis provides critical insights into the impact of DWTC’s event calendar on Dubai’s legacy as a regional business hub and highlights the ability of the MICE sector to consistently generate significant wider value to the emirate’s GDP. Through its investments in world-class facilities and services, DWTC continues to attract high-profile global events and exhibitions increasing the sustainable value to participating multinationals, attracting greater volumes of international business travellers and attractiveness for companies to relocate to Dubai as their expansion hub for the region.